​Bent Creek Golf Club offers a wide variety of golfing programs for our membership. Whether you’re looking for a little friendly competition on the links or to just get out and meet some new golfers, our weekly leagues for Men and Women may provide you both. Play-offs will be August 28th. Any adult male member can play in the Men’s League. The format for Men’s League is a 9-Hole NET Best 2 of 5 Ball format. Teams are composed of 5 players. You can create your own team or we can help you create a team. Please hand scorecards into the golf shop upon completion of your 9 Holes. The cost per member is $100 for the year, which can be paid for by cash or charged to your member account. ​Thursday mornings, May 2nd-September 12th, tee times are blocked for league play from 8:30am-9:30am. The Opening Scramble will be a 9:00am Shotgun. The Women’s 18-Hole Guest Day will be a 1:00pm shotgun start on July 25th. Entry fee for Sweeps is $5 and $1 cash chip in pot (optional). The format for the game will change weekly. There will also be a contest each week for low putts. All winnings will be awarded in Golf Shop credit. ​Tuesday nights, April 30th-September 10th, tee times are blocked for league play from 4:30pm-6:00pm. It is not mandatory to play within the scheduled times, but it is encouraged to schedule a tee time as close as possible to the blocked times. The Opening Scramble will be a 5:30pm Shotgun. 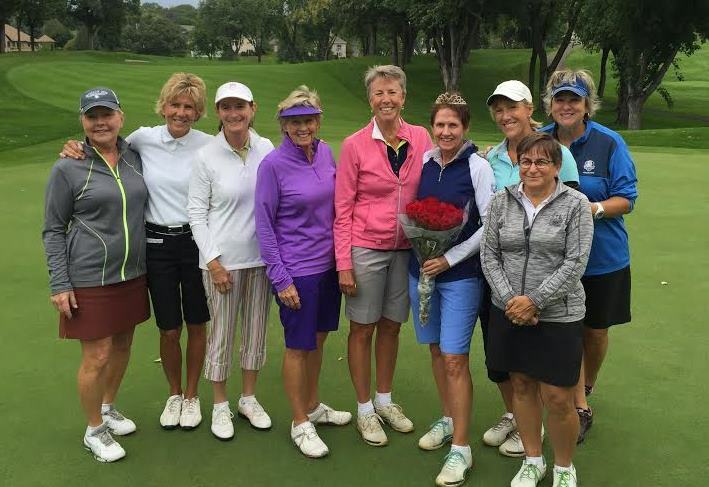 The Women’s 9-Hole Guest Day will be a 5:30pm shotgun start on June 25th. Entry fee for Sweeps is $5 and $1 cash chip in pot (optional). The format for the game will change weekly. Low putts will also be a contest each week. Golf Shop credit will be awarded each week for the winners.